One analyst contends that Apple’s real business model is storage, which at least explains why it’s building such a huge new headquarters. Plus, your iMessages are really way more secure than they probably need to be. 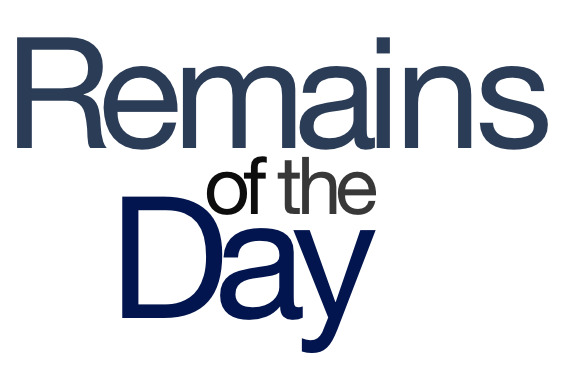 The remainders for Thursday, April 4, 2013 will be right back. If you strip away all the fancy hardware and software, analyst Edward Parker argues, Apple’s business model is basically selling flash memory to consumers at a huge profit. Because heaven knows, consumers really love flash memory. Nothing they like more, really. The latest tweak to the App Store is more prominent listings of apps’ age ratings. This way the kids will finally be able to make a beeline right for ones marked 17+ without mucking around. Apple’s new “spaceship” campus looks like it will be a bit more expensive than originally projected—the current projections have it running at about $5 billion. In large part, that’s due to the incredible cost of materials: curved glass by the square kilometer, highly polished terrazzo floors, and, of course, air permanently infused with that new car smell. You may remember the Flashback Trojan horse that was making the rounds last year. Security writer Brian Krebs tracked down the likely author, a 30-year-old Russian man. And here I had been counting on the only logical explanation for a Flashback Trojan being a time-traveling Greek warrior. Because iMessage is encrypted, it means that law enforcement agencies—such as the DEA—can’t eavesdrop on communications there, creating a new obstacle for criminal investigations. Somebody better let McNulty and Freamon know.